The results of the referendum shocked many of us. But at Kin&Co, it’s particularly raw. Why? 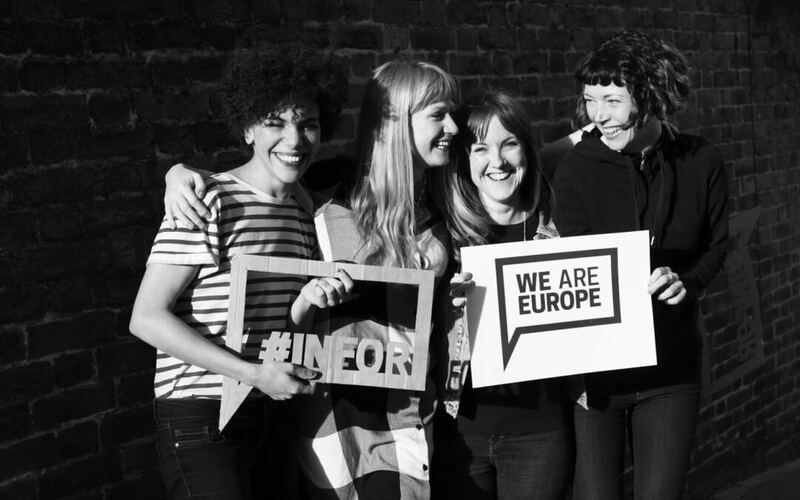 Nine weeks ago we co-founded We Are Europe, a grassroots pro-EU group created to engage under 40s with a positive, inspiring campaign. It started as a conversation between friends, with no political experience, who just wanted to DO something – and ended as the third biggest Remain campaign in the country. It also produced some of the most effective content, like our Boris/Trump mural ‘kiss of death,’ which went viral all over the world. Or the #DontF**kMyFuturevideos, produced with Adam&EveDDB and featuring Keira Knightly and Lily Cole, which were viewed over 3m times. Here’s where you’ll find most of the content. For the team here, the last few weeks have literally involved blood, sweat and tears – as well as a lot of laughter, cheers and moments of heart-swelling pride. We are, of course, devastated by the result. But we also have hope. We’ve learnt that people want to talk about the positives. They want to engage in politics, just not in the way it’s traditionally been talked about. We’ve learnt that a small group with little money, but a lot of courage and passion, can make a big difference in the space of a few short months. For Kin&Co, it’s reaffirmed our Purpose and our Values. Empowering people with positivity, believing in them, focusing on moving the needle and staying playful, do work. As a society we need to find a better way to discuss and debate the important issues. We need to bring civility, humanity, unity and positivity into our conversations, our media, our politics and our organisations. We’re still processing what the outcome means. But we already know we have to move forward with clarity and purpose. Focusing on what’s true and what’s possible, together as kin.